Can a quarantined government bunker survive the impact of The Death, and protect the rule of law in the process? AS BRITAIN IS overwhelmed by a deadly pandemic, junior civil servant Evelyn Piper finds herself seconded to an official crisis management team. Together with Mildred Sanderson, the widow of the Prime Minister, she is evacuated to a regional government bunker. Piper is reassured by the presence of Colonel Stephen Adams, a military adviser to the Cabinet, but accepts that the centre is under the control of government official Lewis Bartholomew. When the centre’s only medic Stewart reports that one of the residents has fallen ill, Bartholomew’s response is swift and merciless: ordering Adams to evict the patient. As supplies in the bunker run low, tensions rise; and eventually a hunting party is allowed to leave quarantine. They return with plentiful supplies of mutton, but one of the group shows signs of the virus. As infection spreads, Bartholomew's rule becomes more dictatorial. Adams launches a challenge to Bartholomew's regime, but can life in the bunker survive a split that threatens to escalate into a bloody fight that puts everything at risk...? THIS SERIES' OPENER sees Big Finish's Ken Bentley reset the dramatic timeline to the onset of the pandemic. In series three, this narrative device was used to fill out the back story of Molly (who finds herself quarantined on a ferry in the English Channel). 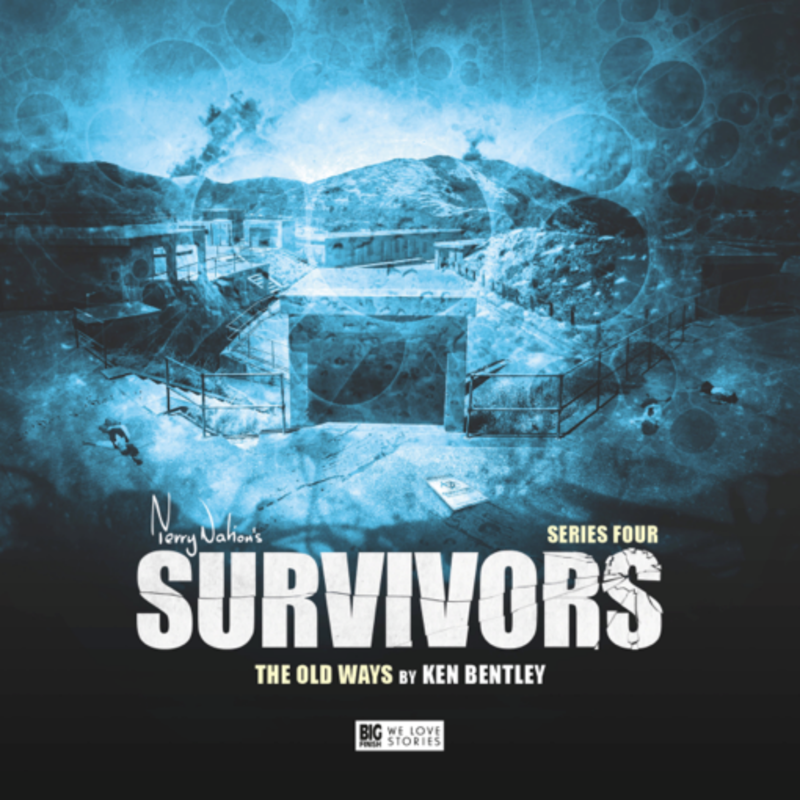 In "The Old Ways", Bentley offers a new perspective on the authorities' attempts first to manage, and then simply to endure, the apocalypse. Although the listener knows that these efforts are hopeless, there is great dramatic mileage in exploring an 'official' perspective on the plague's spread; something never offered in the original TV series (and only previously related second hand by John Redgrave in "Revelation"). For the avid Survivors' devotee, one of the immediate thrills of "The Old Ways" is the appearance of Zoë Tapper in the leading role of junior civil servant Evelyn Piper. In Adrian Hodges' TV remake of Survivors (shown on BBC One in 2008 and 2010), Tapper played the role of the conflicted former A&E doctor Anya Raczynski. In a behind-the-scenes interview, Tapper expresses her pleasure in being able to return to the 'world' of Survivors, albeit to the original rather than the 're-imagined' one. Here again though, Tapper plays a sympathetic survivor who feels completely out of her depth as civilisation collapses around her. But unlike Anya, who relinquishes her identity as a medical professional in the aftermath of the plague, Piper clings to her previous role as an organiser and a planner, and remains convinced that the rules of civilisation and order should still hold good. When Piper finds herself unexpectedly promoted to an impromptu emergency government committee, she is given a lifeline by her senior colleague Redgrave (a surprise and welcome [if very brief] return to the series by Terry Molloy). It is only as she escapes London, in the company of the Prime Minister's widow Mildred Sanderson, military adviser Adams, and head of quarantine Bartholomew, that the true, irreversible scale of the calamity becomes clear to her. The sound design of the group's flight from London introduces one of the distinctive signatures of this latest release: the use of extended, immersive sound sequences (devoid of dialogue) that invite the listener to take a 'beat' to imagine the visuals of the scenes that they describe. As a helicopter whisks this group of officials to safety, it is the disturbing noises of the disintegrating city below that linger. It is a motif that speaks to the confidence of the series' producers, and delivers an audio experience that is all the more atmospheric as a result. Alongside her practicality, there is great warmth to the character of Piper; an emotional intelligence revealed in her sympathy for widow Sanderson and her empathy with the doggedly heroic Adams. There is passion too, shown in her willingness to confront the diktats of the increasingly unhinged Bartholomew; as well as a degree of vulnerability, hinted at in her distress over the fate of her abandoned pet cat. This mixture of the tough and the brittle will resurface time and again as Piper's story unfolds over the remainder of the series. It's fair to say that the dramatic tropes that play out at the Tartarus bunker are reasonably familiar ones in the oeuvre of 'quarantine drama': as tensions climb, a leadership group seeks to protect the company's isolation at any cost, while a small group of inhabitants urge a more merciful and compassionate approach to the struggle for survival. As this conflict threatens to descend into violence, loyalties are tested to breaking point, and all the residents must choose a side in a final showdown. But if the broad trajectory of the plot is recognisable, there are still plenty of unexpected twists and turns along the way. And, as Big Finish hold true to their willingness to kill off likeable new characters, it's far from clear who will emerge unscathed. As with "Cabin Fever" a strong sense of claustrophobia and isolation permeates the drama of "The Old Ways". The sound textures of the Tartarus bunker provide a convincing sense of place, and, as events move on, the reassuring hustle-and-bustle of a busy and well-resourced community in lock-down is replaced by the echoing sounds of illness, isolation and distress. After Piper flees the gunfire, bursting from the bunker into the empty world outside, the episode ends with the haunting 'caws' of a murder of crows. It is a powerfully evocative sound, ending the story for the resilient (and slightly threatening) noises of the forest; a sharp contrast with the animalistic echoes of a city falling into barbarism, heard earlier. Not for the first time in Survivors the hope of sanctuary has proven to be illusory. THE LISTENER CAN'T help but wonder how thin the line is between how we behave in a regulated and policed society against the neo-anarchy of this post-apocalyptic world. IT'S RAW, HUMAN drama as its finest, and Series Four picks up the baton passed to it by the previous seasons and continues its eternal sprint, unabated and in fine form. The eight series of new Survivors audio adventures is available to buy (in CD and download formats) from Big Finish. 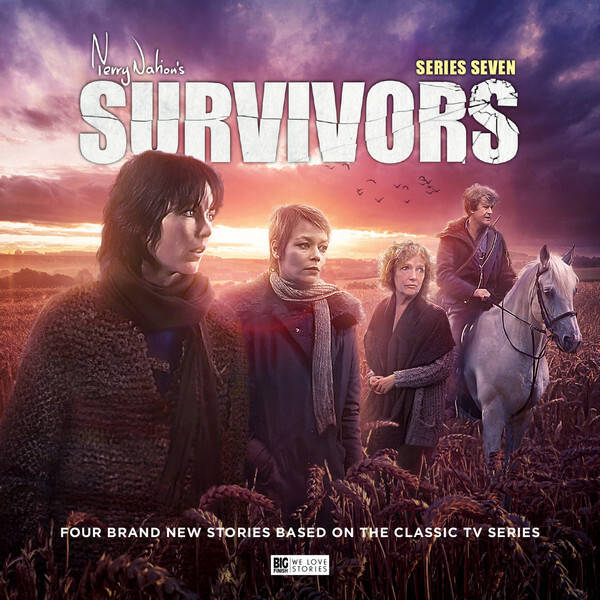 The seventh series of new Survivors audio adventures is available to buy (in CD and download formats) from Big Finish. 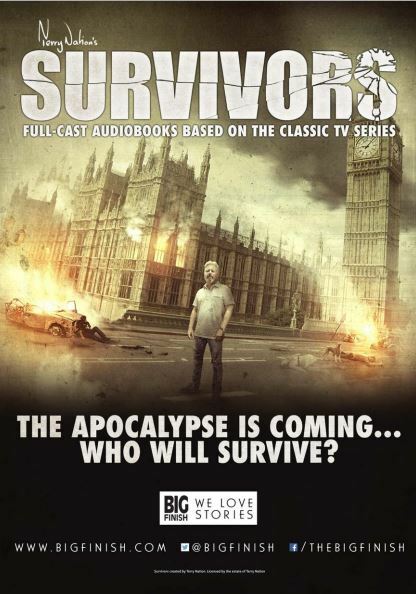 The sixth series of new Survivors audio adventures is available to buy (in CD and download formats) from Big Finish. 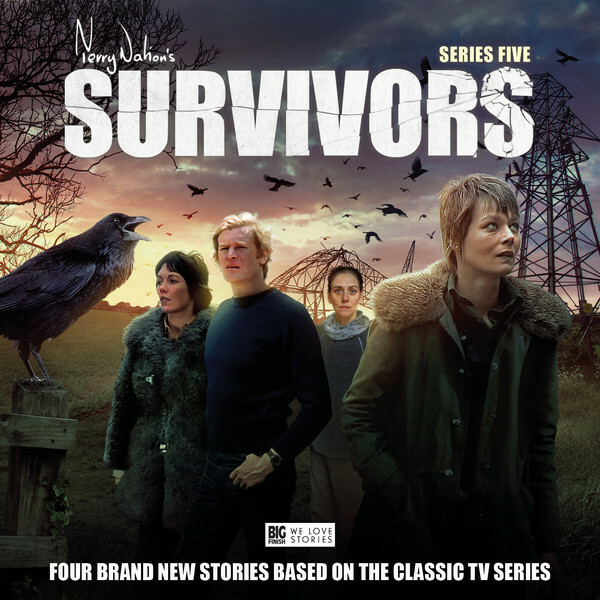 The fifth series of new Survivors audio adventures is available to buy (in CD and download formats) from Big Finish. 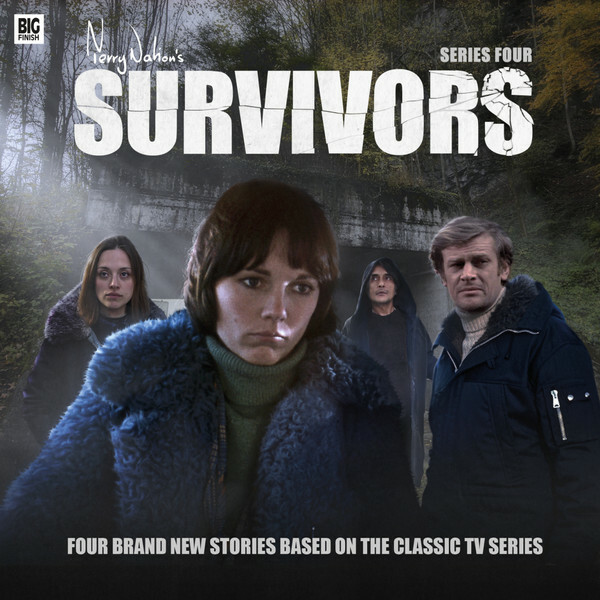 The fourth series of new Survivors audio adventures is available to purchase (in CD and download formats) from Big Finish. 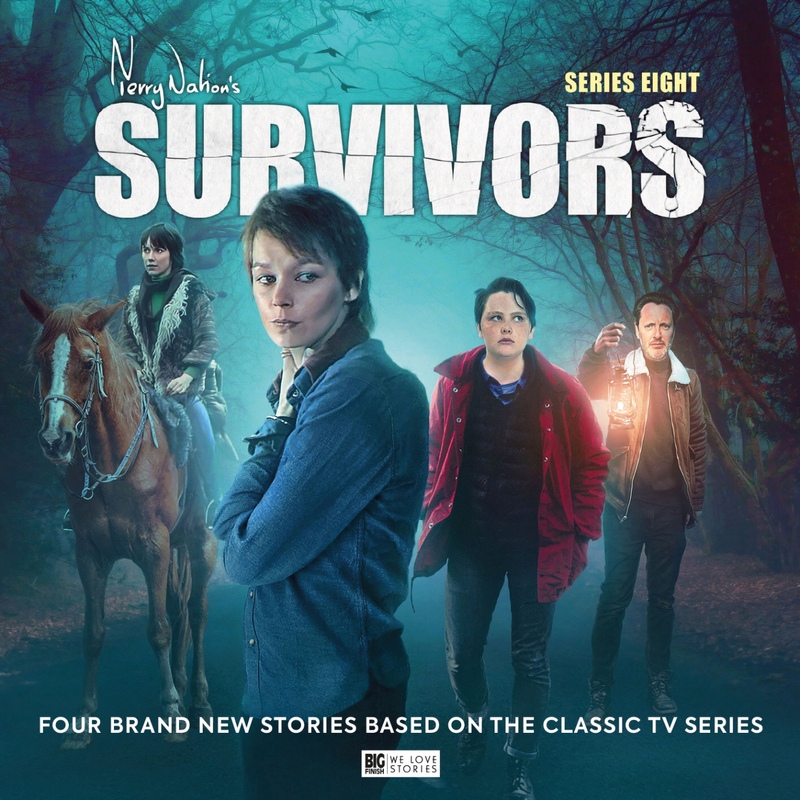 The third series of new Survivors audio adventures is available to purchase (in CD and download formats) from Big Finish. 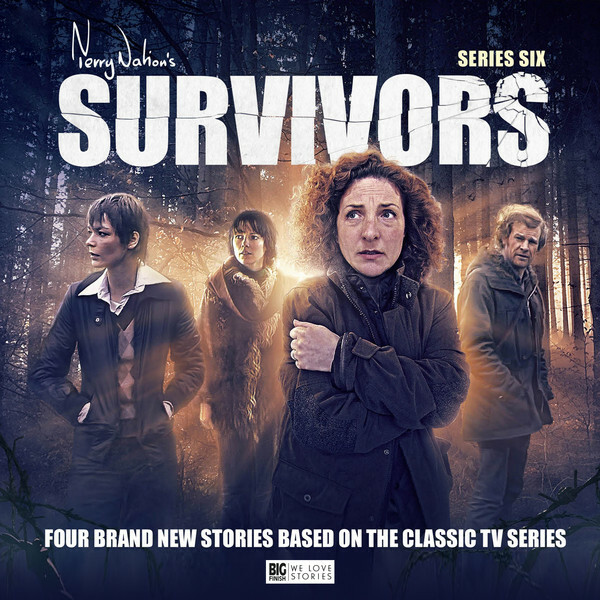 The second series of new Survivors audio adventures is available to purchase (in CD and download formats) from Big Finish. 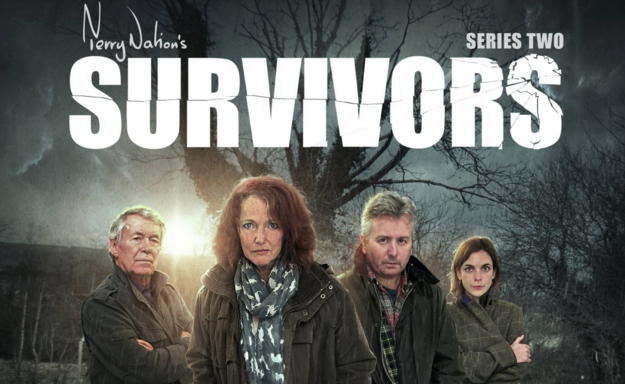 A full-length audiobook of Terry Nation's Survivors novel (in CD and download formats) read by Carolyn Seymour. 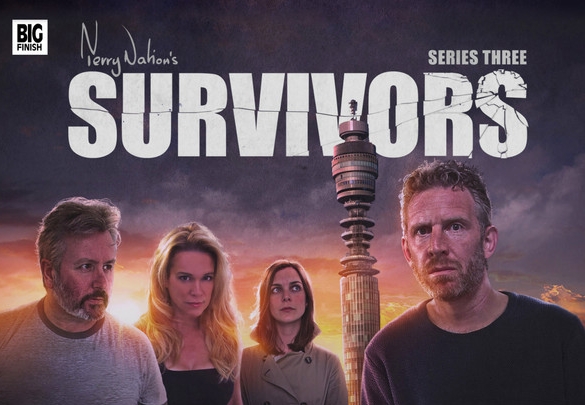 The first series of new Survivors audio adventures is available to purchase (in CD and download formats) from Big Finish.